This summer has been a whirlwind of activity and long hot days. To the people who have been asking about blog posts I do apologize, I’ve been busy servicing customers around the World continuously. 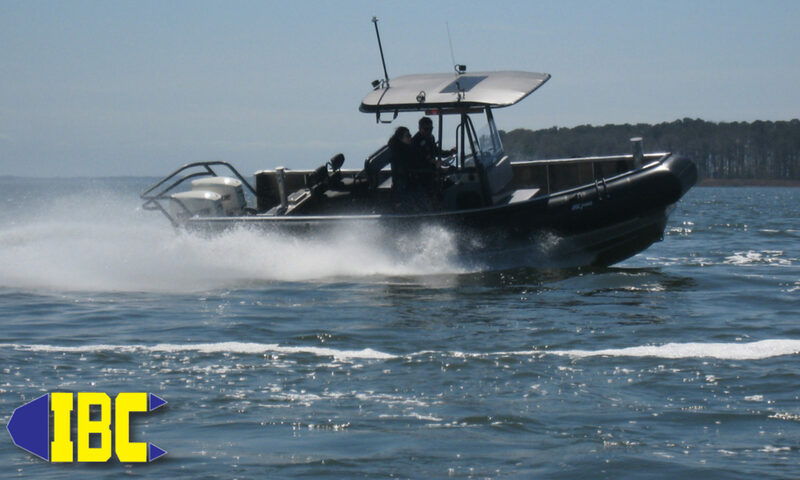 The new Zodiac open series of ribs has been going like mad and IBC even went to test the new boats with Zodiac prior to new models being released in the US market. We currently have one Open 7 left and are back ordered on several of the other models. IBC’s MILPRO Division has been mad at work building out some very special boats for missions upcoming and ongoing throughout the big blue marble. We’ll have a few pics to share soon but most of our projects aren’t viewable due to operational security concerns. The Special Boats Division has been pushing out special commando packages at a dizzying rate. Models equipped for skinny and swift moving water, steering helm packages, tiller models, dive boats, filming platforms etc. have been the norm everyday. Fisherman and outdoor sportsmen have been catching on to the fact that they can simply do more in a Bombard Commando. In other news aluminum rib manufacturers have been going thru their inevitable growing pains again. Luckily Zodiac has responded and introduced aluminum ribs to the market once more helping heal the hurt. Pains caused by the current offerings of other supposed expert manufacturers mean I field a great many calls for boats I don’t sell. Those of you old enough to remember boating in the 80s will remember just how many of these Chinese boat brands there were back then. The big push to tin in the 90’s and the multitude of aluminum hulled inflatable boats that persisted into the new millennium disappeared altogether. Once good boats fell to the push to make cheaper and cheaper goods at the cost of quality. Zodiac stopped making aluminum ribs because they couldn’t compete with the Chinese labor costs in Canada or France and the tin market collapsed due to the shoddy off brand product. People wanted Zodiac quality, but struck off to competitors trying to save a few bucks, much like what is happening in the current market. If you’ve been following our site you’ll notice all the other tin boat makers are gone at this point. Makers such as Highfield will no longer be supported at IBC for warranties or broken/missing parts. You will need to contact Highfield or your other manufacturer directly for further support. Zodiac aluminum hulled ribs will always be supported, they are Zodiacs after all and benefit from the World’s largest dealer network. Our site isn’t showing Zodiac aluminum hulled ribs currently, we’ve sold out of the Zodiac aluminum ribs until the next season from our initial January offering. As anticipated the Zodiac product out performed all the others in the field in cost VS capability/quality. No surprises there! One trend that has been gaining momentum is the push for customers to get genuine French Zodiac models such as the Zodiac Cadet Fastroller series. The Zodiac Cadet Fastroller series of inflatable boats are Thermo-bonded™ in the French factory that gave birth to the Thermo-bonding™ technology. Quality from the very start in it’s selection of Strongan Duotex™ fabric and use of the French technique that eliminates glue altogether makes one of the lightest and most durable boats available anywhere by anyone. Other French boats like the Classic series, the Bombard Commando series and the Futura series have dominated the market with quality where the other manufacturers have chosen quantity and free shipping instead of making a good product. To go into more detail about Zodiac’s Thermo-bonding™ process would take a tome and a PhD in material science to understand, however we can be brief yet informative. As with all things sold today the Chinese have copied some aspects of the technology and rebranded it as heat welding to avoid litigation. Let’s be clear there is a difference no matter how slick the media presentation is from brand X the customer is being duped. The heat welding process is a good 20 years behind the Thermo-bonding process originally deployed in 1977 from Zodiac’s Engineering Dept. Yes the future is looking bright for quality French, US, and Canadian craftsmanship. In this saturated knockoff internet marketplace where ultra cheap is the norm the consumer is easily tricked into buying garbage by the term “free shipping”. What the informed customer should know is “free shipping” equates to landfill disaster, or now the more news worthy “Pacific Garbage Patch”. Zodiac, Avon, and Bombard have always been stewards of the environment, isn’t it about time we all did our part? More blog posts to come soon, pictures, videos and more! As soon as We get some free time from fielding all of these non-stop calls for products we don’t or won’t sell from understandably upset customers. Remember if it seems too good to be true, it is. Previous PostPrevious What Can You Do With A Zodiac?